We support environmentally responsible initiatives to maintain Kauai as the Garden Island. 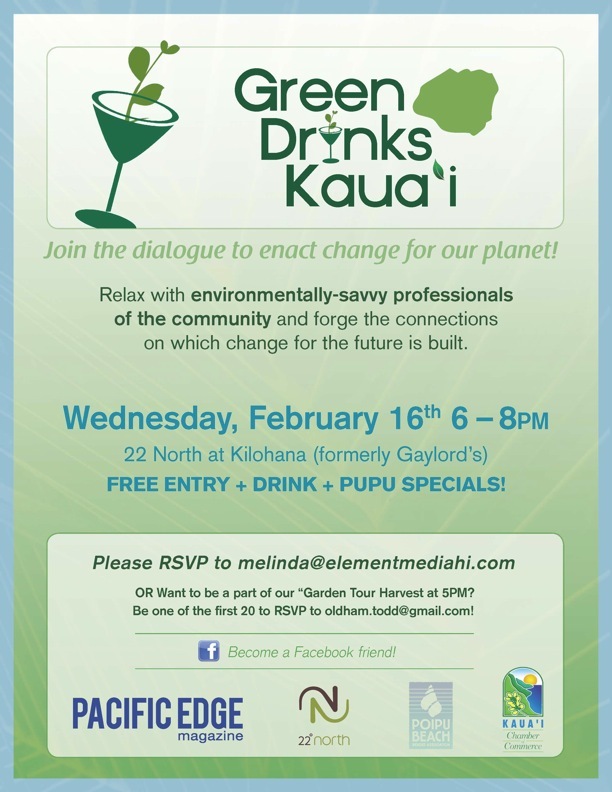 We will definitely be attending Green Drinks Wednesday February 16th. The first 20 to RSVP are invited to a tour of Kilohana Farm with Todd Oldham at 5PM. RSVP with Todd at Todd.22North at gmail dot com. There are still a few spots available for this tour.